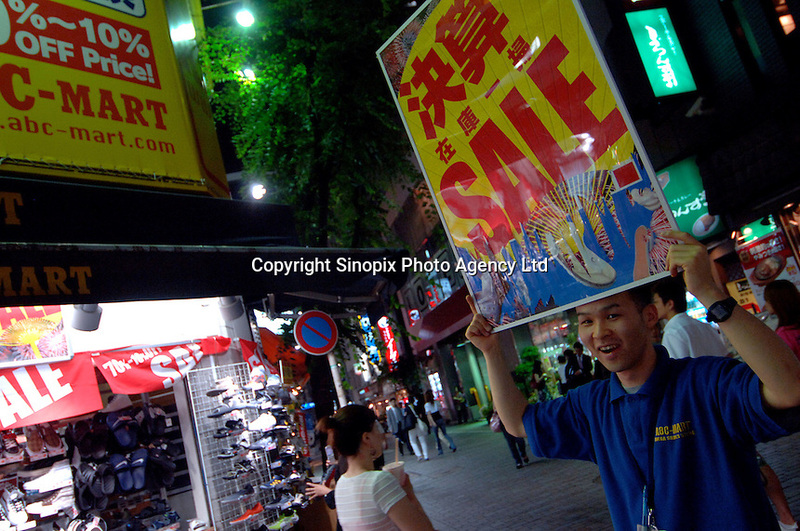 For sale signs are touted in the summer sales in Shinjuku ward, Tokyo, Japan. Consumer spending is on the increase in Japan. The Japanese economy is finally emerging from over a decade of economic recession..